This smart and stylish Ted Baker Black Brogue Monkian Travel Watch Storage Case is made from black faux leather with brogue detail and has a blue suede effect interior. 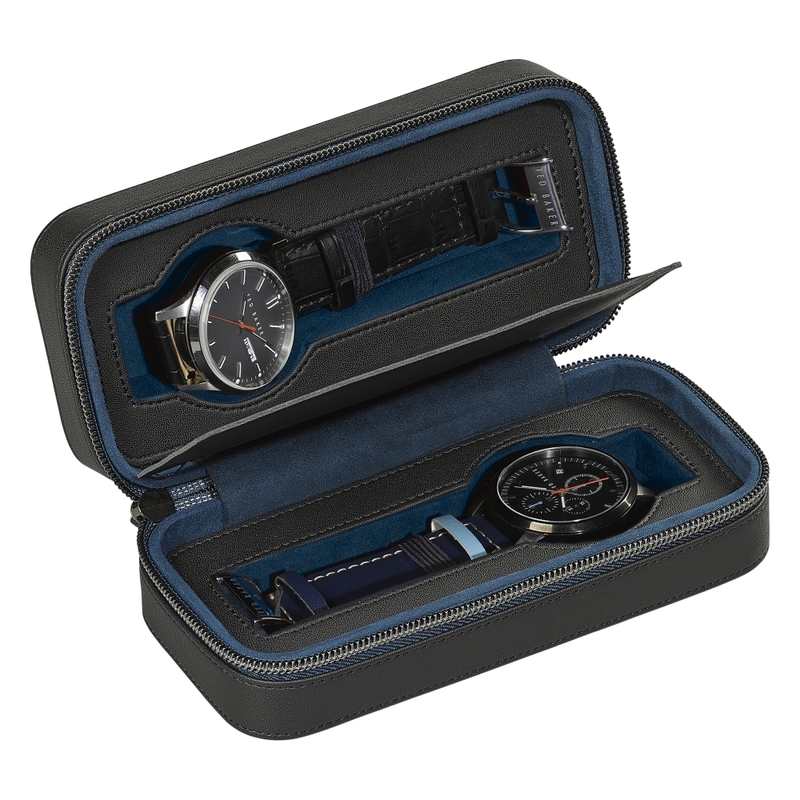 The practical case features a zip closure and will store and protect 2 watches. A wonderful gift idea, this case would be an ideal present for a man who travels for work or pleasure.